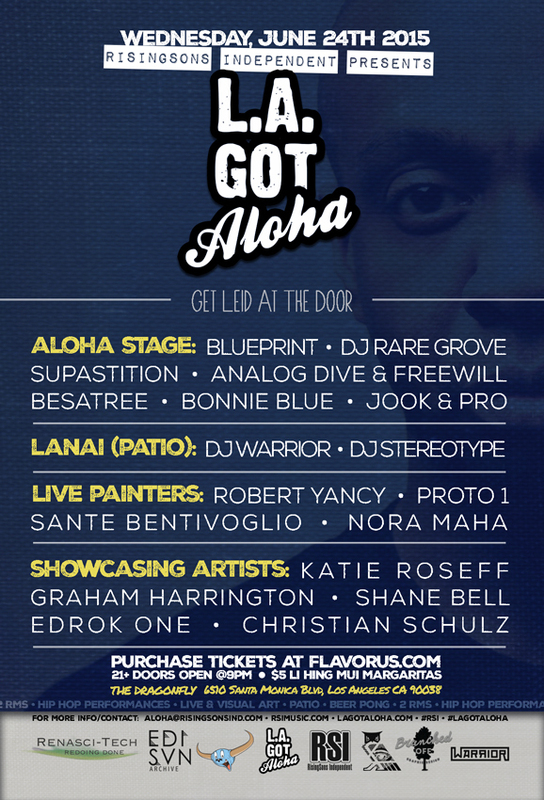 LA Got Aloha is a bi-annual Hawaiian themed night filled with live Hip-Hop performances and visual art. We bring out performers from Hawaii, serve tropical specialty drinks, decorate the venue with island style props, and attendees get "Lei'd" at the door. 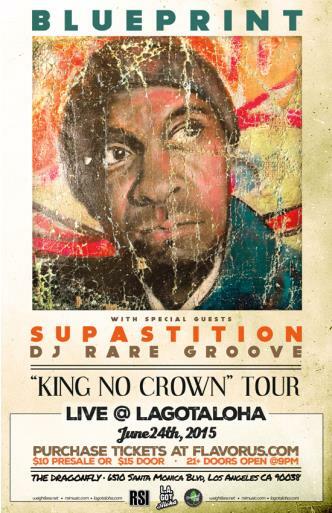 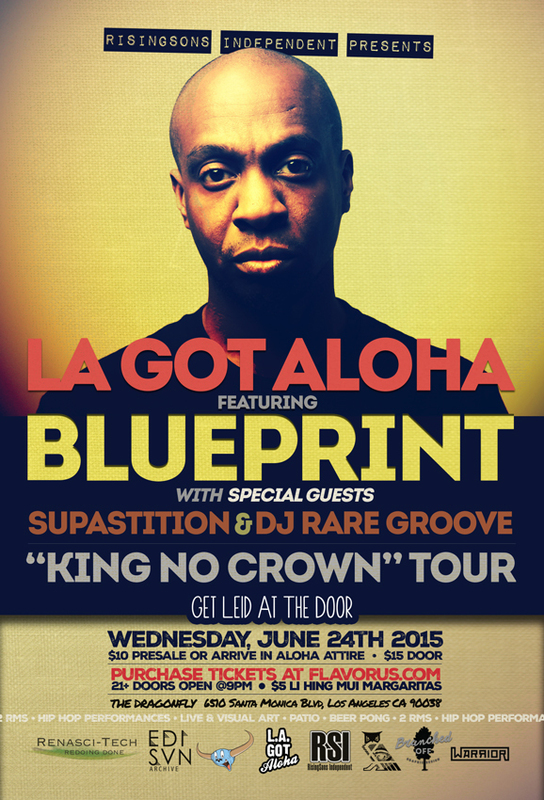 We kick off the first LA Got Aloha of 2015 giving you a special collaboration with Blueprint's King No Crown tour in support of his new record.